Girl scout cookies is an Indica dominant strain with a 40% sativa content originating from California. With a high THC levels GSC produces a powerful happy euphoric high, which can be spacey creating a cerebral mind warp. This long-lasting high can lead to periods of relaxation and just watching the world go by. This is a very popular strain with medical patients due to its high THC levels and effects. GSC is a sweet enjoyable smoke with flavours of brown sugar and spice. 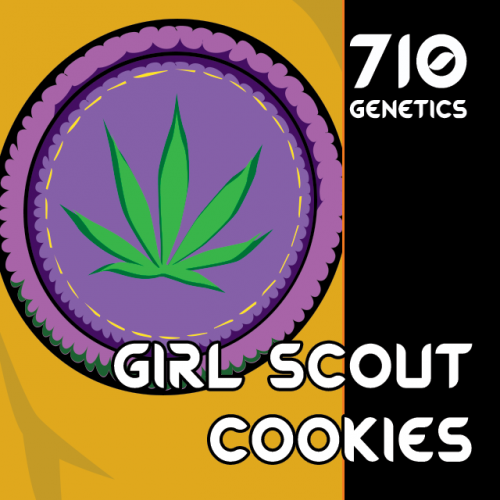 With a sweet yet slightly minty flavour Girl Scout Cookies has a unique taste and aroma that you will love. Genetics OG Kush x Durban Poison.